The buzziest marketing phrase of 2019, outside artificial intelligence, is customer experience. We’ve all read about it, talked about it, created entire strategic initiatives around it. Faced with the rapid rise of ecommerce, seemingly infinite options for customers and therefore diversified expectations, retailers have had to adapt their customer experience strategy or risk oblivion. Some of the most effective methods have been through digital initiatives. Luckily (or perhaps unluckily), there are millions of ways retailers can leverage digital to create a desired customer experience. All of these options beg the question: where to begin? First and foremost, plunging into a time consuming and costly digital upheaval isn’t the answer. Just having a mobile app will not magically engage your customer base. Creating a complex in-store digital experience may not be what your customers are looking for. Because of the plethora of options, and the many ways digital initiatives can fall flat, retailers must understand what’s important and what will deliver value to their customers while also having a positive impact on their bottom line. Let’s take a look at retailers who have changed and enhanced their customer experiences successfully while driving profit for their business. The beauty retailer has been a digital pioneer, leveraging in-store digital technology and their mobile app to create personalized experiences for their customers. 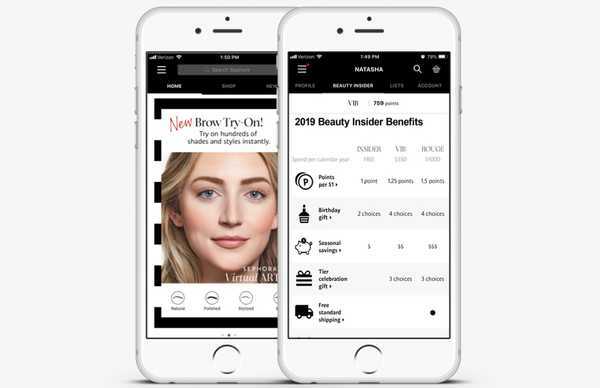 The Sephora Virtual Artists feature within the mobile app allows customers to virtually try on makeup without even having to visit a physical location. 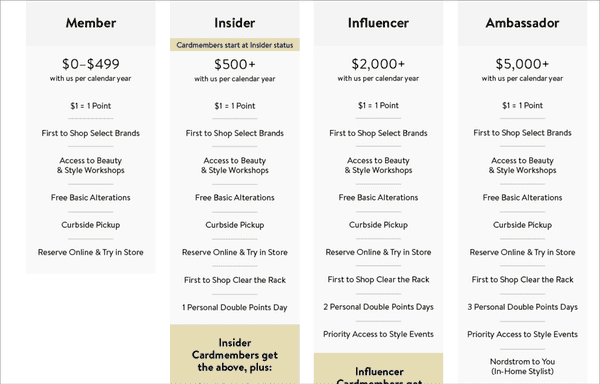 Sephora’s Beauty Insider Program received several updates in 2019, giving their top tier members more points per dollar spent, more flexibility in how their points are redeemed, such as redeeming points for full-size products and experiences, a greater variety of options for birthday gifts and the introduction of anniversary gifts. Sephora understands and listens to their customers’ feedback. They understand that, when it comes to beauty, consumers have the potential to be fiercely loyal and have adapted their program to ensure that loyalty is to their brand. Beauty is an extremely tactile-driven industry, but Sephora has created a solution that bridges the gap between mobile and in-store with their Virtual Artists feature that allows customers to have an in-store experience, even if they don’t have easy access to a brick & mortar location. Secondly, they continue to drive value through the Beauty Insider Program through its continuous evolution, giving their “elite” members access to more points and full size reward redemptions (not typical in the beauty category). In addition to this, birthday and anniversary gifts can now can be redeemed for more than just products; customers can redeem them for more points, or for custom makeovers. This kind of flexibility ensures that Sephora is addressing all types of customer preferences. In turn, Sephora has profited from being one of the first digital crusaders in a very crowded beauty space. Another retailer that has made improvements to its existing loyalty program is Nordstrom. Rebranding it as The Nordy Club, it places emphasis on becoming a Nordstrom cardholder, with exclusive benefits such as alteration credits, 2x-3x points per dollar spent and early access to their coveted Anniversary Sale. The rebrand also included an update to their mobile app, where customers of all tiers can now redeem $5, $10 or $15 rewards in the app, rather than wait to reach the $20 reward threshold. In addition to this, all members are able to reserve items online to try on in-store via the mobile app. While tiered programs are not the right approach for all retailers, Nordstrom was able to identify two values important to their customer base: status and exclusivity. In addition to earning points more rapidly, access to the Anniversary Sale is a massive draw to the Nordstrom credit card. Not only are members able to access the sale early online, parts of the brick & mortar store are roped off, with additional staff available to serve cardholders. This exclusive experience sets Nordstrom apart from other department stores. The mobile app enhancements are a great way to get more customers to interact with the app and again, showcase another way the gap between digital and brick & mortar can be closed. Being able to reserve clothes to try on in-store without having to complete a purchase, shows Nordstrom’s commitment to the customer and their confidence that a great customer experience can lead to conversions. Target offers exclusive discounts, coupons and promotions through its Cartwheel app and last year, it consolidated the Cartwheel app with its Target app that enabled mobile payments with a Target debit or credit card. This enabled customers to apply their discounts and pay for their items in one fell swoop. In addition to this, customers can set a preferred store, create shopping lists and have the app populate which aisles their items can be found in. While customers are shopping, they can access “Cartwheel Offers Near Me,” which allows them to see discounted items in their vicinity while in the store. Finally, Target expanded and enhanced their Order Pickup and Drive Up Services. Cartwheel offers provided all Target customers with the benefit of savings, but combining it with the Target app and mobile payments creates such a seamless experience, it functions as a great marketing tool for the Target REDcard. In many instances, retailer-branded cards may be a hard sell, but Target sees high frequency customers and rewards them with an enticing offer: an extra 5% off their purchase. The convenience of activating coupons and payment in one scan, and not even requiring customers to bring a wallet to experience all of the benefits, is a major win for Target and something other retailers should keep in mind. 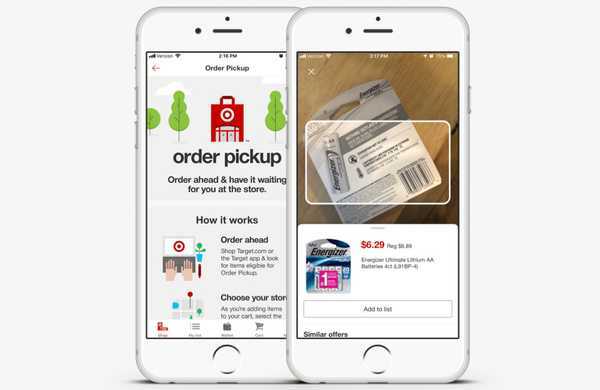 Target has found a way to engage mobile app users in-store by providing them a scanner within the app to search for discounts on particular items. Geofencing in this case isn’t just a cool marketing tool, but actually provides value to the customer in the form of a discount and as a product & discount locator. Finally, in the same vein as Nordstrom, Target understands that many customers have busy lives and may not have time to peruse the store for their laundry list of items. By providing what is essentially a personal shopper through Order Pickup and Drive Up Services, Target is providing a white glove experience typically only reserved for luxury retailers. Nike’s aptly named loyalty program, NikePlus, is available to all customers and includes free shipping, 30-day wear tests, in-store perks, early access to new products, member-only exclusive products and birthday rewards. Nike has developed an “ecosystem” of apps that also include Nike Run Club, which allows users to track runs and establish a training routine, Nike Training Club, which offers members guided workouts, and SNKRS, giving users exclusive access to new sneaker releases. In 2018, Nike launched a new product within its app called Nike Unlock, which gives users rewards for working out and training more often through the Nike Run Club and/or Nike Training Club. Some of these Unlocks include free services from Nike partners including Apple Music, Headspace and ClassPass. It also offers personalized promotions based on what the user’s interests are and can include rewards such as free gifts and VIP experiences. For brands like Nike that sell their products in both their own branded stores and other retailers, it can become difficult to deliver a consistent customer experience. However, Nike was able to account for this by understanding a unique draw for their customers: community. They were able to understand that it wasn’t so much about the discount (although that’s always welcome) for their customers, but more so about catering to their individual fitness journeys and rewarding them for adhering to their fitness goals. The development of both Nike Run Club and Nike Training Club created a community for their customers to engage with and be motivated by. Nike’s bottom line is able to benefit indirectly from their customers working out more, earning more rewards and purchasing more Nike products. The launch of Nike Unlock serves as a great motivator for customers to use Nike’s apps even more with more flexibility in how they redeem their rewards. Nike understands that their brand isn’t everything to their customers and therefore leveraging partners such as Apple Music and ClassPass is a major draw and completes the workout experience. Lastly, Nike addresses the behemoth that is personalization by understanding what their customers are most interested in within the fitness world, and listening to customer data to determine which offers to deliver. Their personalization efforts span apps and partners, making the experience feel robust and like a community. For example, they’re able to understand that one of their female customers really enjoys fitness classes and hasn’t made a clothing purchase in 60+ days. Through Nike Unlock, they’re able to offer her ClassPass credits if she purchases a sports bra. Personalization made convenient. Most people are quite familiar with Starbucks’ rewards program, which has oscillated from visit-based to spend-based over the years. Their program is simple enough, one star earned for every dollar spent, a free item once customers reach 125 stars and a free birthday drink. 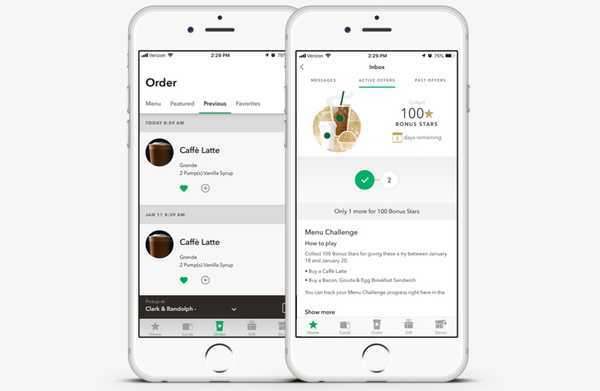 Starbucks also offers challenges that customers can opt into within the app that award bonus points for things like visiting x number of times in the same number of days, or buying specific items. Most recently, Starbucks has found increased app engagement through its mobile order ahead feature. Starbucks eventually learned that a visit-based model was not delivering the biggest ROI for their business. At the time, every 12 visits resulted in a free drink. While this seems logical, imagine that a customer purchases 12 tall drip coffees, costing approximately $2.50 each (a total of $30), but then redeems it for a venti latte, costing approximately $6.50. Their reward is nearly 22% of what it cost them to earn it. As a rule of thumb, high frequency verticals such as coffee shops, should seek rewards that are valued at 7-10% of the spend required for the customer to achieve it. The shift to spend-based rewards, coupled with bonus points, puts Starbucks right in that sweet 7-10% spot, where customers still feel like they’re getting something valuable out of the program, but it’s also delivering an ROI to Starbucks’ bottom line. Where Starbucks really shines is its in-app challenges. These require customers to opt-in, showing purchase intent and increasing interaction with the app. Starbucks assesses items that the customer frequently purchases, knowing that an incentive to purchase things the customer already likes will likely get them to visit more often, and delivers them an opportunity to earn bonus points for those items. The biggest indicator of future behavior is past behavior and Starbucks successfully drives this strategy through complex data analysis on the backend, while making it look simple to the customer. Less and less people are treating Starbucks as a coffee shop hangout, and more like a quick stop. In comes mobile order ahead. However, as with many innovative endeavors, Starbucks has faced hurdles like increased wait times and traffic in its stores due to the ease of ordering. As a result, many Starbucks locations are being re-designed to accommodate the increased number of customers by creating better flows of traffic in-store. There will always be challenges with new ideas, but retailers must be nimble enough to address them. There are infinite ways to engage your customers and what works for these powerhouses may not work for your brand or business. However, what all of these examples have in common is that the customer is at the core of every decision they’ve made. Your customer base may be similar to your competitor’s, but your customers come to your business or are loyal to your brand for a specific reason. Honing in on that reason unlocks a whole world of engagement and activation possibilities. Another commonality is embracing innovation. 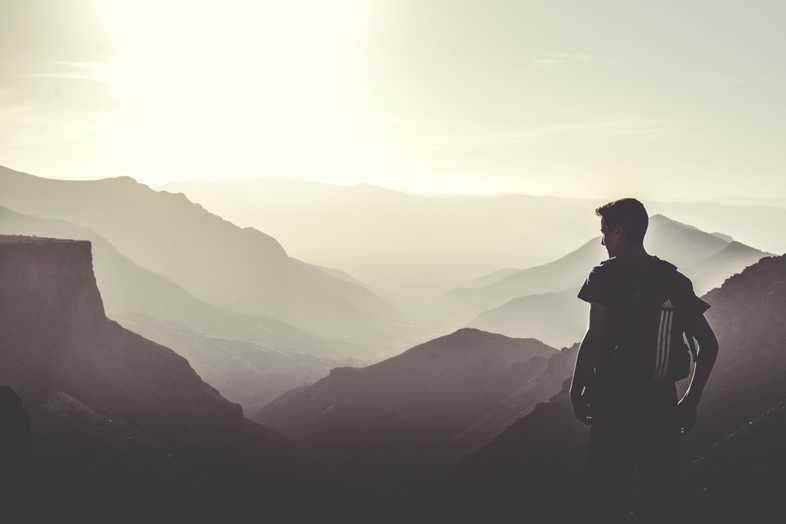 Many of these initiatives had either never been done by other brands or retailers, or had only been tackled by a few and perhaps even failed in those instances. However, empowered by a thorough understanding of their customers, these brands and retailers understood that openness to innovation would be the only way to deliver a differentiated customer experience. For more information on how Hatch can help you engage and activate your customers in the moments that matter most, visit www.hatchloyalty.com.